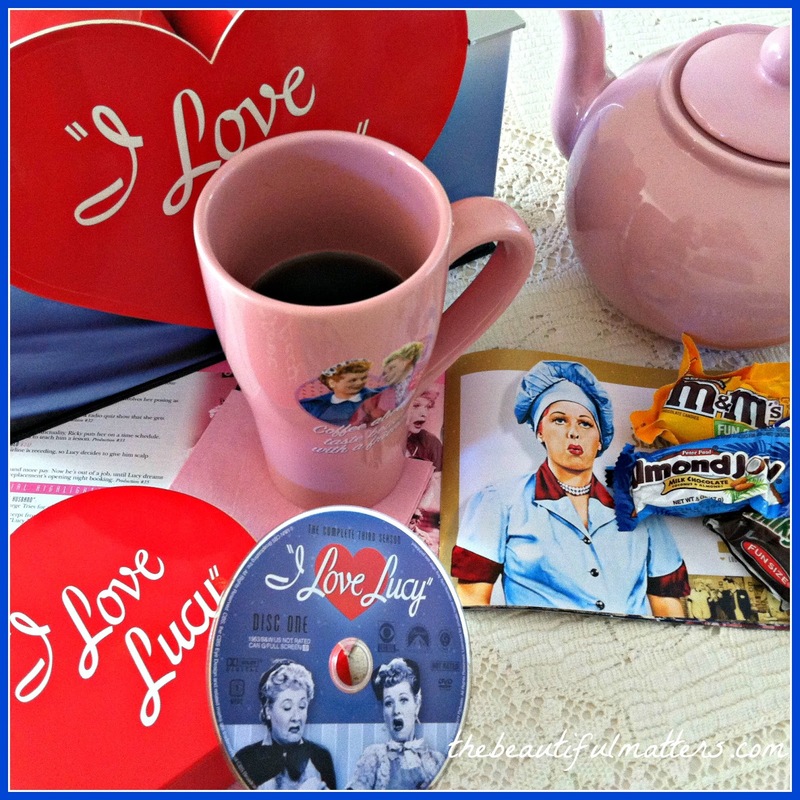 Enjoyed your post about Lucy and Ethel! Just thinking about the episode where they worked at the chocolate factory made me laugh! Fred and Ricky didn't do the greatest job themselves trying to cook while the ladies worked at the factory! love the trivia about the grape stompers; way cool! also, such a cute cow toby...really cute. I love this post Deborah. I love Lucy was one of my favorite shows to watch. She was an amazing comedian and that show was hilarious. They sure don't make them like they used too. The episode with Lucy and Ethel working at the chocolate factory is a classic. So so funny. I usually take pictures or organize my makeup when I am stressed. Funny but that is what makes me feel better. Thanks for sharing such an cute post. So true! Some of the older TV shows are actual therapy for me. For me, it's not only the actual program, but the memories from that time in my life. I just love that feeling. I noticed your coffee mug typo right away - "tastes" better! Really cute mug anyway. I still can't help myself and watch Lucy's reruns on TV. I adore her and memories from childhood too. Love that coffee mug, I'd kill for it, lol! The show where Lucy and Ethel are working on the chocolate factory is unique. I think maybe I'll buy the entire set of the shows, they sell them here and cheap too! 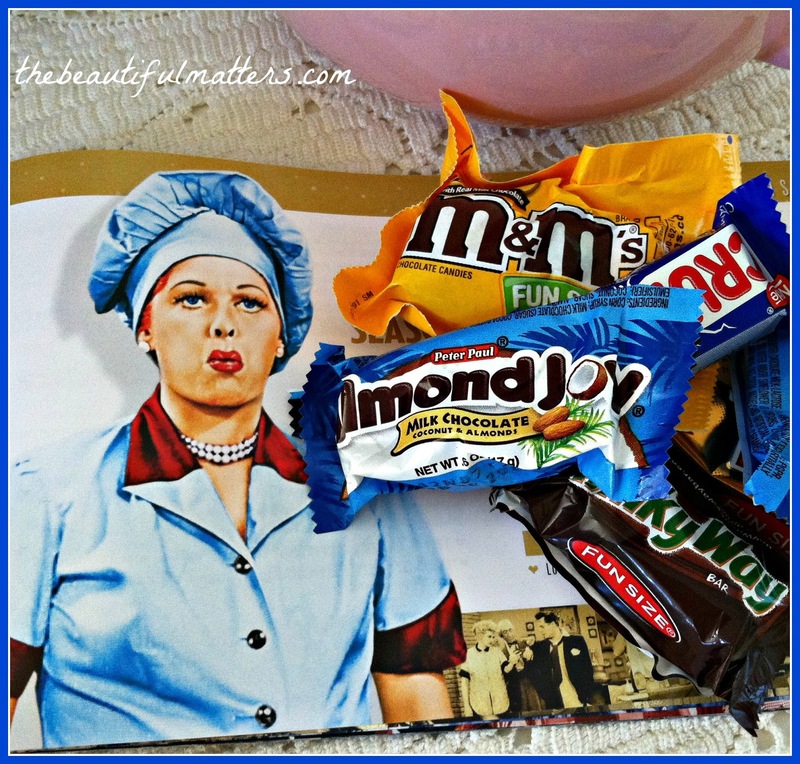 Hi Deborah, I loved watching I Love Lucy all the time. I love your mug and the pink cow. When I feel worried or stressed I like to crochet or knit, it seems to calm me down. Take care. Neat post, I ♥ Lucy, too! And the info on the grape stomping - well, that sure would've made Lucy proud, huh? Thanks for sharing! In The Netherlands we also got to watch Lucy of course. She had such a funny way of putting her lipstick on; à la Lucy! But if some sweets do the trick with a coffee; enjoy them. Sending you hugs and wishing for a lovely and hopefully sunny week. What a fun post. I have to admit, I've never seen an episode of I Love Lucy. You have me curious, I'll have to check it out. Such a coincidence, Deborah! My husband and I just traveled through that area two weeks ago and, to my surprise, I saw pamphlets for the Lucille Ball museum at the service center just outside of Buffalo, NY (near Jamestown, but we didn't go). Another funny thing on our trip was when my husband and I drove by a large vineyard (where it was escapes me now), there was a HUGE vat at a winery. Almost involuntarily, the comment came from me, "that's where Lucy & Ethel and the rest of them are stomping the grapes". My husband said he was thinking the same thing. Such iconic images we have of such a famously funny woman. I like all of your ways to ease a troubled mind. Nice post for BCA. Amen! There is nothing like laughter to brighten the day and Lucy and Ethel were great. Love all the pink! Happy Tea Day! Wow! that's a lot of grapes! I remember that episode too. Lucy was always good for a laugh. 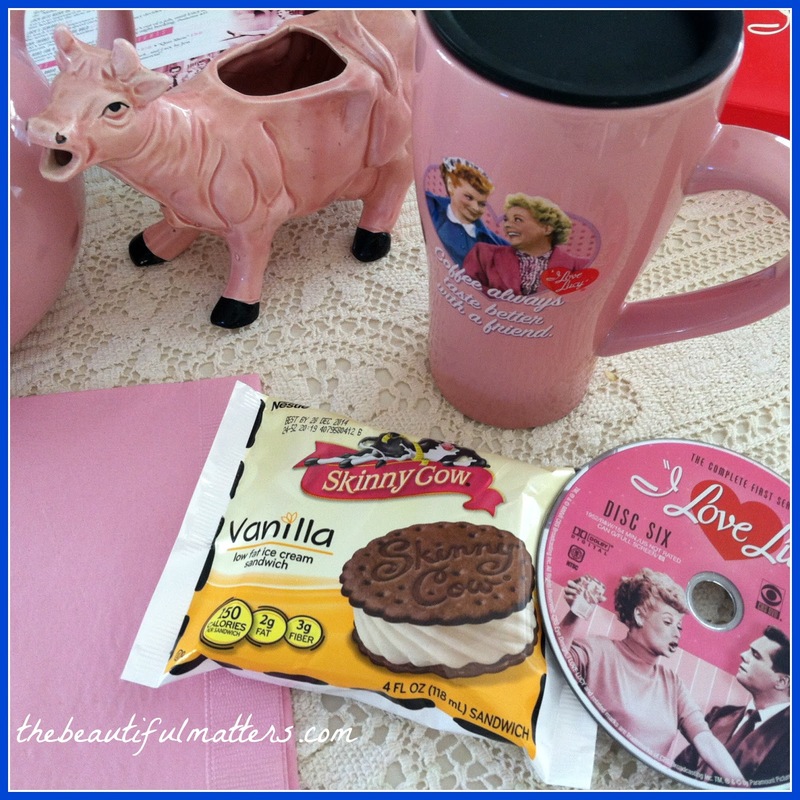 I love your pink mug, your pink teapot, and especially that cow creamer! What a pretty shade of pink. Coffee, chocolate, and pink all some of my favourites. Thanks for sharing and joining me for tea, Deborah. Have a delightful day. A great post, Deborah. I love watching old tv shows, including I Love Lucy. We all need to be reminded to laugh and find joy even in times of stress or trouble. Oh what fun to re-visit Lucy shows, Deborah! Isn't the mug adorable for your coffee? We all need a good laugh, for as we all know...laughter is the best medicine! I loved your post today. I have driven through Jamestown NY but not while the grape stomping was going on.....LOL I like cow creamer. I use to collect them even though I don't use cream in my coffee or tea. A fascinating reminder of 'I love Lucy' Deborah-I have a recollection of my mother liking this show way, way back, in black and white I'm sure. There was something with Dezi Arnaz Jnr she liked as I recall. What a lovely way to relax and cheer yourself, what could be better than coffee and chocolate as well! Those ice cream biscuits do look a treat and your lovely 50s pink pics are uplifting in themselves! Fun post! 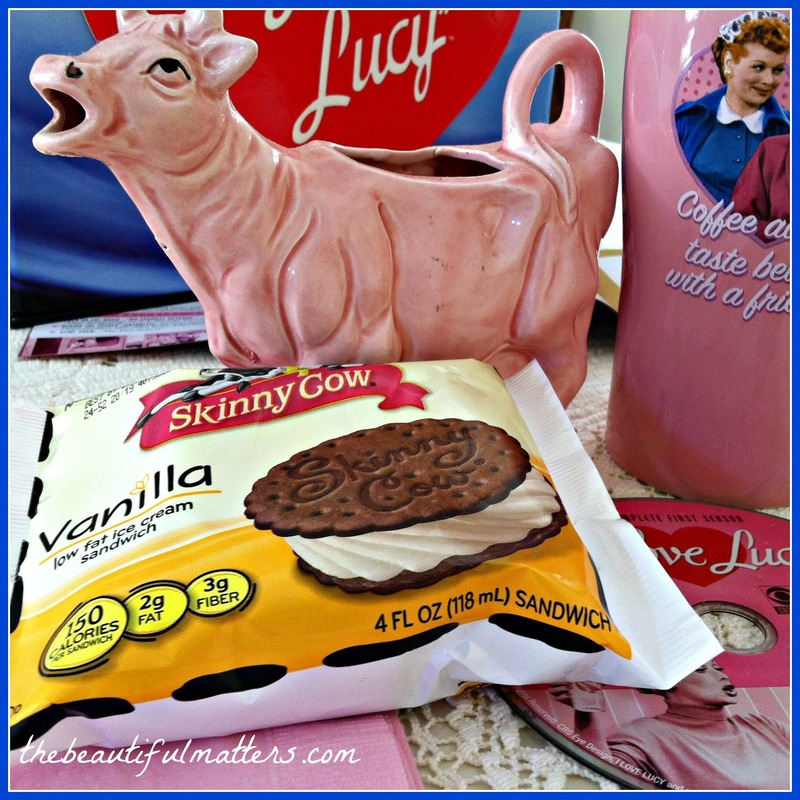 Love the mug with the adorable pink cow creamer! I think treats taste best with a nice hot cuppa coffee or tea. You are so right about laughter in our lives. Some of the toughest times in my life I remember as great times because there was also a lot of laughter. Gold star for picking up the typo on the mug! 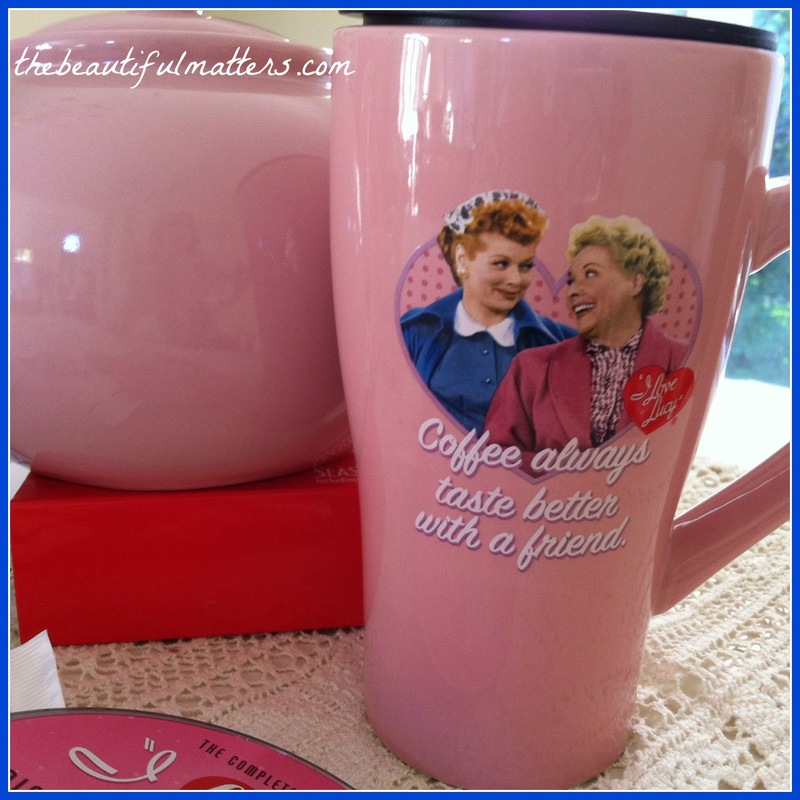 That's a sweet coffee cup with Lucy and Ethel on it. (even with the grammatical error LOL) I watch the reruns of the show several times a week for something light and humorous. Unfortunately I can't get in to the reality shows and such that play these days. 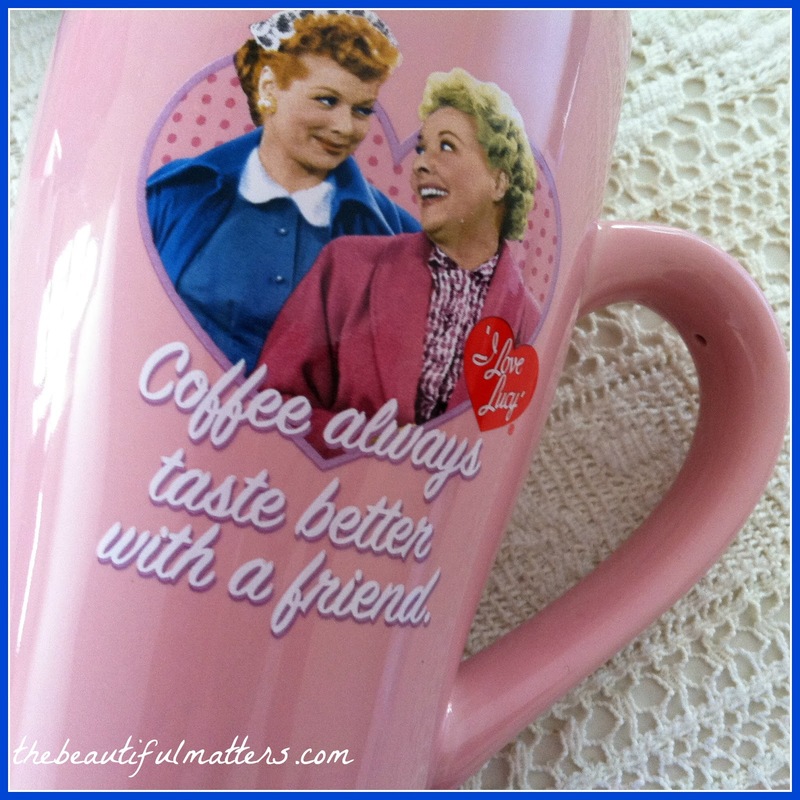 I loved Lucy and Ethel, we all need a girlfriend just like they were to each other!! I loved the one where they had the job wrapping the candy .... Crack me up! A grape vat more than 2 blocks long ? Wow. 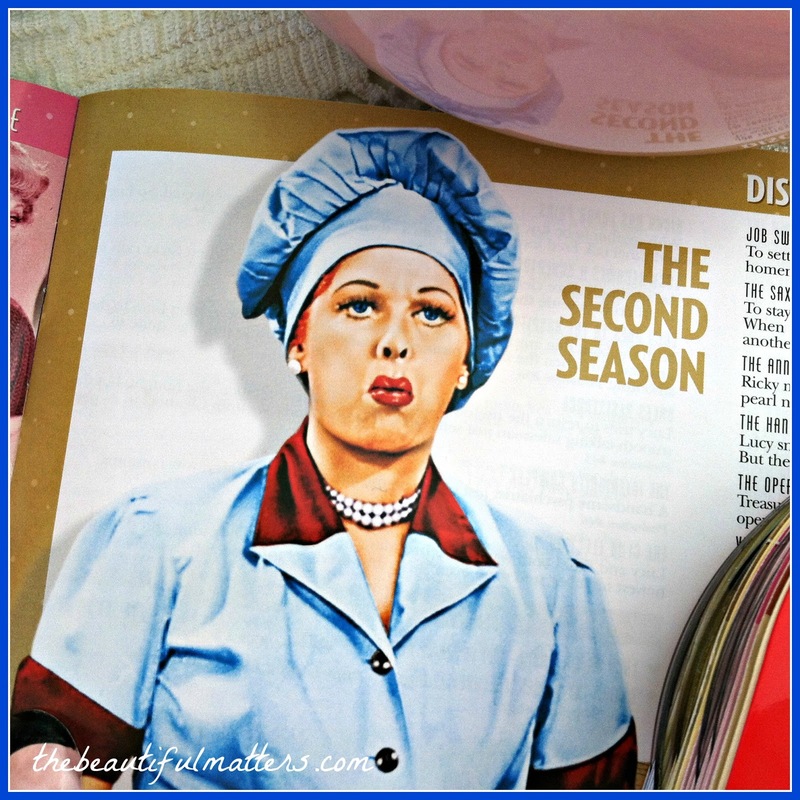 Some things are timeless, and Lucy & Ethel via 'I Love Lucy ' are timeless. 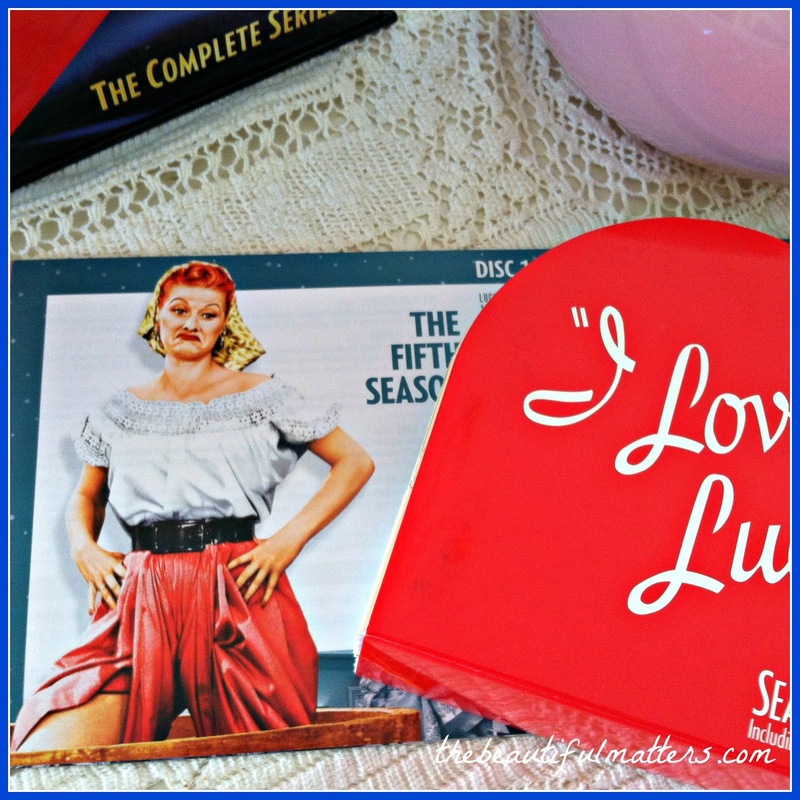 I so loved Lucy! Great post Deborah!